ARLINGTON, VA -- December 13, 2017 -- Hobsons, the education technology leader, today announced the appointment of two industry veterans to its growing leadership team. Monica Morrell, a current member of the Hobsons leadership team, has been named General Manager for Naviance® and Jim Rogers joins the company as Chief Marketing Officer. Morrell, who joined Hobsons eight years ago and served most recently as Senior Vice President of Customer Experience and interim General Manager for Naviance, is now responsible for driving the vision and strategy for the Naviance product line. Having held previous roles at Hobsons including Vice President of Professional Services and Account Management for all business lines, and Vice President of Naviance Services, Naviance Product Development, and Naviance Employee Enablement, Morrell has a deep knowledge and understanding of Hobsons’ products and its customers, and will ensure all product strategies are delivering on their behalf. In his new role at Hobsons, Rogers will place a large focus on Hobsons positioning and value creation with clients, leading the company’s market and partnership strategy to support sales of its Naviance®, Intersect™, and Starfish® product lines. Rogers has extensive knowledge and expertise in the education industry, and in his most recent role at Ruffalo Noel Levitz, oversaw all global marketing, product strategy, and corporate development efforts. In that role, he integrated several acquisitions to establish a unified go-to market strategy, developed a robust set of new products, and built a marketing organization that made a measurable impact on revenues. Rogers has also held marketing, product strategy, and operations positions at Vonage, iCore Networks, Deltek, and Neustar. A global leader in education technology, Hobsons helps students to identify their strengths, explore careers, match to best-fit educational opportunities, create academic plans, and reach their education and life goals. 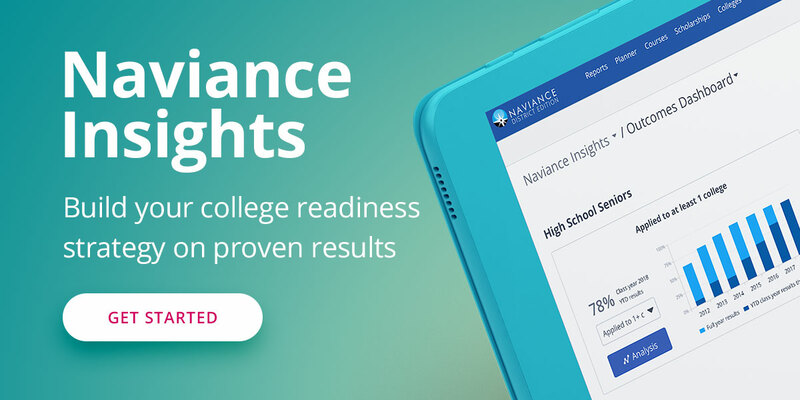 More than 12,000 K-12 and higher education institutions partner with Hobsons and leverage our expertise and our solutions -- Naviance, Intersect, and Starfish -- to improve college and career readiness, college recruiting and admissions, and higher education student success to support millions of students around the world.